SOCRRA has made it even easier for Ferndale residents to inquire about recycling and waste disposal with the launch of a new tool called the Waste Wizard. This comprehensive search tool will assist residents of SOCRRA’s twelve member communities to determine which materials can be reused, recycled, composted, or disposed. To use the new tool, residents type in the material they wish to learn more about, and information is instantly provided regarding proper handling. To make the Waste Wizard even more accessible. residents can download a free mobile app for both Apple and Android devices. 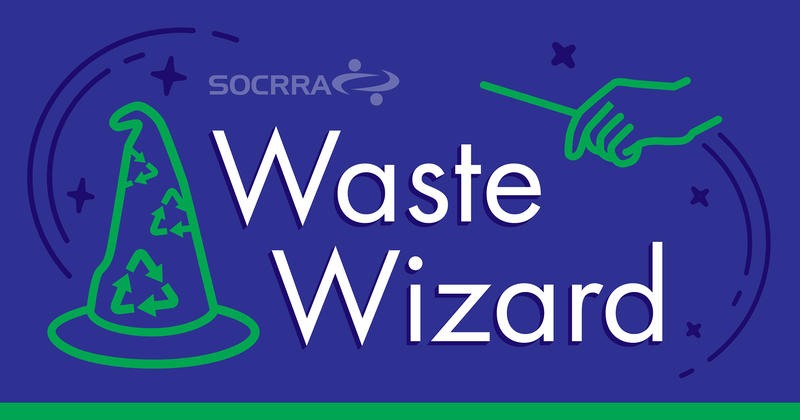 The Waste Wizard is also available on the SOCRRA website (www.socrra.org), which was recently redesigned to be more user friendly and helpful for residents. The new tool will provide SOCRRA with information about what materials are most often asked about, which will help target future education and outreach. “SOCRRA is very excited to offer this enhanced level of customer service for our residents,” said McKeen. For more information, visit www.socrra.org or the app storeto download “SOCRRA Waste Wizard”.